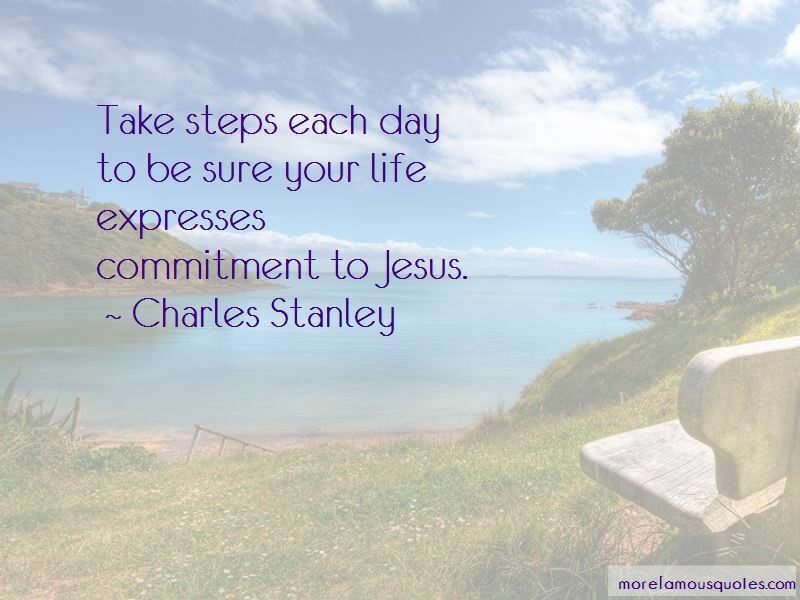 Enjoy the top 159 famous quotes, sayings and quotations by Charles Stanley. I hear people all the time say, well I read through the Bible last year. Well, so what? I'm all for reading through the Bible. But how much of that got on the inside, or did they just cover three more chapters today? I would never discredit reading the Scriptures, but it is important to meditate on it. We're living in a fearful time. Since 9/11 people have become more afraid than before, because of terrorism. There's a lot of confusion about evil, where it's all coming from. Often times God demonstrates His faithfulness in adversity by providing for us what we need to survive. He does not change our painful circumstances. He sustains us through them. Our problems may stay, our circumstances may remain, but we know God is in control. We are focused on His adequacy, not our inadequacy. God wants us to seek Him more than anything else, even more than we seek answers to prayer. When we come to God in prayer, sometimes our hearts are so full of what we want that we leave God out. Our minds become consumed with the gift rather than the giver. Regardless of the source of our pain, we must accept that God knows, God loves, and God is at work. If you put your faith in yourself and your abilities, intellect and dreams, then your foundation is only as strong as you are. The Bible reveals the Father's overall plan for the world and provides general guidelines for life. But how can we know His specific plans for us? 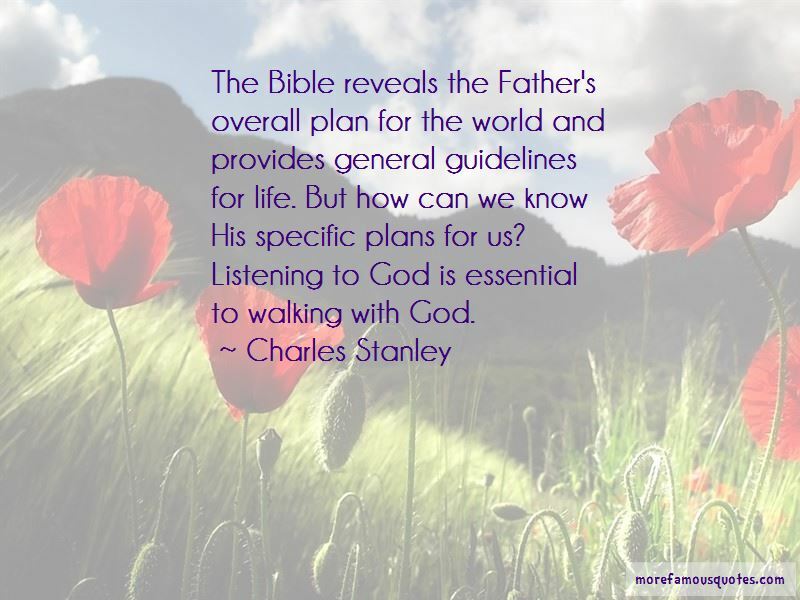 Listening to God is essential to walking with God. If a person becomes content with what is average, minimally acceptable, or satisfactory, she will rarely exert the effort or work toward something that is truly excellent or outstanding. All of us have areas of weakness. God wants these character flaws to show us how totally dependent we are upon Him. When we handle them properly, they drive us into a deeper, more intimate relationship with the Lord. But uncontrolled weakness wreaks havoc in a person's life. Success is the continuing achievement of becoming the person God wants you to be and accomplishing the goals God has helped you set. 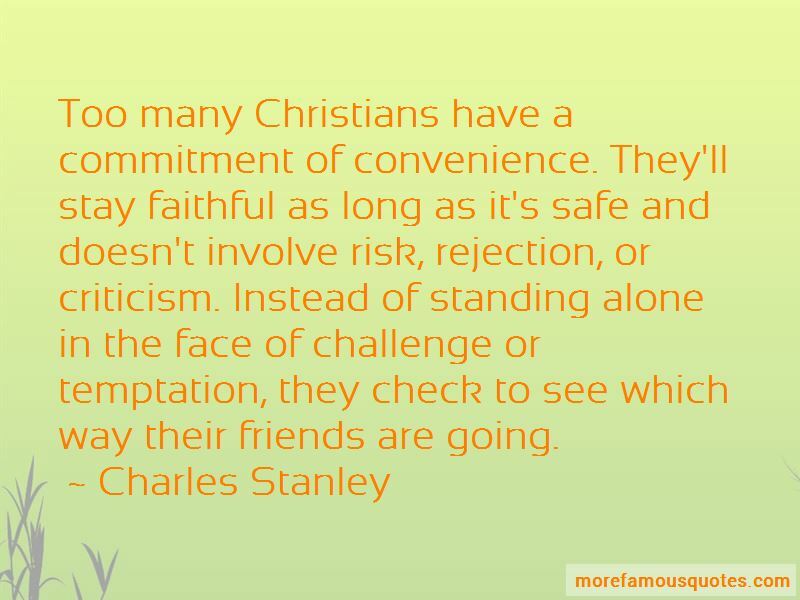 Want to see more pictures of Charles Stanley quotes? 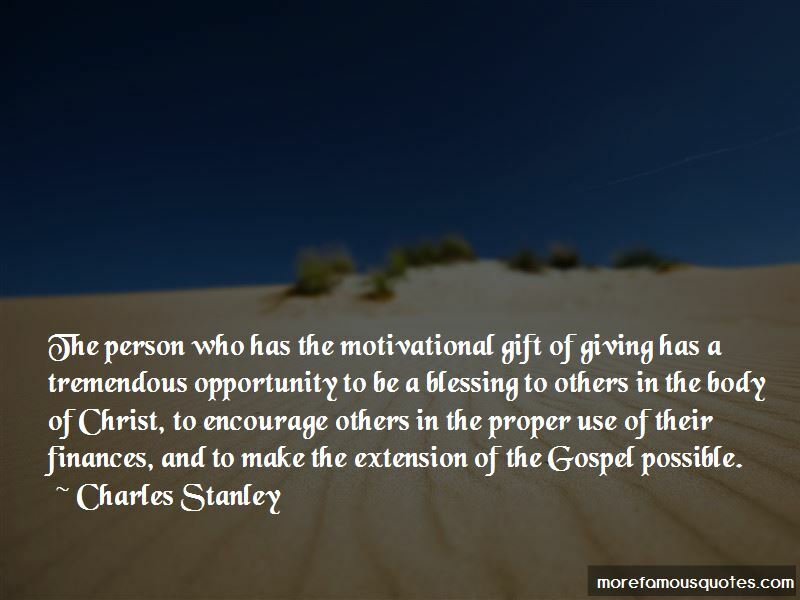 Click on image of Charles Stanley quotes to view full size.